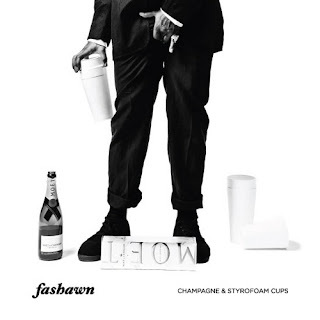 We got a fresh new release from rapper Fashawn in the form of his new mixtape called Champagne & Styrofoam Cups. The tape features 13 tracks, but if you want to help support him you can buy it off iTunes and get 16 tracks. You'll hear features from Wiz Khalifa, Chevy Woods, Mr. Muthafuckin eXquire, and production from Jake One, Exile, and more. This should hold you guys over until his LP, The Ecology is released in 2013. Listen and download below.